Joining the ranks of modern myth busters, Dr. Sharon Moalem turns our current understanding of illness on its head and challenges us to fundamentally change the way we think about our bodies, our health, and our relationship to just about every other living thing on earth, from plants and animals to insects and bacteria. Everything from the climate our ancestors lived in to the crops they planted and ate to their beverage of choice can be seen in our genetic inheritance. But Survival of the Sickest doesn't stop there. It goes on to demonstrate just how little modern medicine really understands about human health, and offers a new way of thinking that can help all of us live longer, healthier lives. Survival of the Sickest is filled with fascinating insights and cutting-edge research, presented in a way that is both accessible and utterly absorbing. This is a book about the interconnectedness of all life on earth -- and, especially, what that means for us. 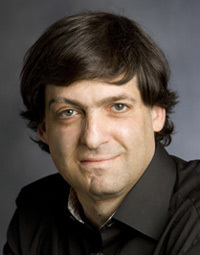 MIT professor Dan Ariely has become one of the leaders in the growing field of behavioral economics, and his bestselling book debut, Predictably Irrational, has brought his ideas--and his ingenious experiments and charming sense of humor--to a much wider audience. With the simplest of tests (often an auction or a quiz given under a few conditions) he shows again and again not only that we are wired to make irrational decisions in many situations, but that we do so in remarkably predictable ways. I have always been puzzled by the way in which genetic diseases have managed to survive throughout the ages. How could it be that these diseases were able to withstand the evolutionary process, where only the most fit survive, and continue to be transferred from one generation to the next? Survival of the Sickest provides a thought provoking yet entertaining explanation to this puzzle. In this insightful book Dr. Sharon Moalem demonstrates how conditions that are considered unhealthy (such as hemochromatosis, diabetes, and high cholesterol), or even deadly in extreme cases, might actually put their carriers at an advantage in combating other life-threatening illnesses. For example, he explains that hemochromatosis, a disease that, if left untreated, will kill you, may have actually been a defense against the deadliest pandemic in history--the bubonic plague during the 14th century. It turns out that this genetic mutation, which continues to be passed down through generations, actually helped spare many lives at one point. Throughout the book, Dr. Moalem draws many connections between seemingly disparate subjects, such as the accidental invention of ice wine and cold diuresis, in order to illustrate the basic mechanisms of genetics and medicine in charming and intuitive ways. He skillfully interweaves his knowledge of history, genetics, and medicine not only as they relate to specific medical conditions but also in a way that addresses important challenges of modern society and our future evolution. In the most general terms, Dr. Moalem's description of the human body and its complexity left me in awe of how far we have come in our understanding of biology and medicine, while also being reminded that the road to understanding ourselves is still wide open with much more to learn in the decades, and even centuries, to come. It is a fantastic journey on which he leads us and Dr. Moalem is a kind, knowledgeable, humorous, and helpful guide. I am reading this book at this writing and I am thoroughly enjoying it. Where else could you combine Stradivarius violins, ice ages, DNA, and frozen frogs to explain diabetes? This is an excellent read. The connections are amazing. It will have you thinking about evolution in a completely new way and in very clear terms. This book is informative and entertaining. As an academic-type in his early 30s, it appears that much of this part of science was skipped over or not yet known during my formative years in high school. For me, science class was made up of dissecting animals, talking about organs and their functions and other general science ideas. Sure, I learned about chromosones, especially the X and Y ones and we had a general idea about genes and how your eye color was determined, but never were we treated to such a "historique" as in this book. This was "continuing education" at its best. Typically, I read current events and political books. Despite that, I was able to get through this book very easily. The science doesn't bog the reader down or distract from the colorful illustrations of our ancestors and their bodies' mutations over the centuries (millenia). Dr. Sharon Moalem's Survival of the Sickest was a fascinating book that was both educating and entertaining. Moalem's light and simple take on difficult concepts makes this 250-page title feel like an easy read. This book is also filled with an enormous amount of information about the human body and the amazing way it has developed and evolved along with viruses, bacteria, and disease. One of the concepts repeatedly discussed by Moalem is how some deadly diseases have actually helped our ancestors survive. For example, hemochromatotis is a hereditary disease that changes the way your body metabolizes iron. In short, it results in your body having an extreme excess of iron, which affects your bodily functions, eventually leading to death. However, during medieval times, it helped many people survive the deadly bubonic plague. Moalem does not, however, stop at the discussion of disease. He goes on to explain a wide array of concepts including the way different races of people react to different substances and sicknesses, how parasites in animals can control how their host organism thinks and acts, and how we have "jumping genes", or genes that can sense their environments and adapt and change almost immediately to help cell survival. One of the most interesting concepts he discusses is the way a mother while pregnant eats or stays healthy could ultimately affect her children's genes. Some readers have expressed dissatisfaction on how the author advertises diseases as "required for the compensatory advantages they provide". They got Sharon completely wrong - this gem of a book does not claim or say that. What these readers missed is the "d" at the end, it is all past tense - diseases provideD the necessary compensatory advantages to survive tough conditions/ events once upon a time, and hence were selected naturally for their higher chances of survival. The last ice age, for example, left only diabetic survivors. People with diabetic tendency were the only ones who could survive the cold. And that is why, now, in the current world, all their descendants have the diabetic tendency. That does not imply that having diabetic tendency in the modern world has any compensation - no, it doesn't. Diabetes in the current world has no voices of support. But diabetes did save a handful of humans during the ice age - and that is why the trait got passed along. Thus, the meaning of "natural selection" receives a twist here - I always thought that natural selection works to select the fittest and the best - but here it selected the most diseased. Thus, my understanding was slightly incomplete - the term "fittest" is still true, but the twist comes with fact that traits which are "fittest" at the time of selection are not necessarily the fittest always. In other words, natural selection is short sighted and is only concerned with survival at the present - even if that comes at the cost of a deadly disease in the future. Most of us probably think of evolution in terms of the ancient past when ape-like creatures were morphing into human form or earlier when one-celled animals were gradually changing into the next higher forms of animals, or even when dinosaurs evolved into birds. Some have likely included the domestication of plants and animals as an agricultural arm of evolution, and may have considered the mutating of a retrovirus like HIV/AIDS to be an aspect of evolution. But if you read Survival of the Sickest, you will likely come away with a very different appreciation of the wonders of evolution. Dr. Moalem takes us on a journey of discovery, a journey that started in his young life as a search for a cause for his grandfather's, and his own, as it turned out, disease of hemochromatosis (dangerous levels of iron in the blood and organs). This quest led to an answer and more questions--many, many more questions--about the true nature of the physical influences in our lives--and why we need diseaase. Dr. Moalem writes with tongue firmly in cheek as he makes his points with vigor. Survival of the Sickest tells, if not a different story of life, then certainly one that has an uncommon emphasis. He says, "... life is in a constant state of creation. Evolution isn't over--it's all around you, changing as we go. ... nothing in our world exists in isolation. We--meaning humans and animals and plants and microbes and everything else--are all evolving together and our relationship with disease is often much more complex than we may have previously realized." "So to be crystal clear: everything out there is influencing the evolution of everything else. The bacteria and viruses and parasites that cause disease in us have affected our evolution as we have adapted in ways to cope with their effects. They have evolved in turn, and keep on doing so. All kinds of environmental factors have affected our evolution, from shifting weather patterns to changing food supplies--even dietary preferences that were largely cultural." Dr. Moalem puts this all into perspective with this poetic summation: "It's as if the whole world is engaged in an intricate, multilevel dance, where we're all partners, sometimes leading, sometimes following, but always affecting one another's movements--a global, evolutionary Macarena." Much of the book concerns the genetic interaction of the DNA of bacteria and viruses with ours. "DNA is not destiny--it's history. Your genetic code doesn't determine your life. Sure, it shapes it--but exactly how it shapes it will be dramatically different, depending on your parents, your environment, and your choices." As an illustration of the dynamic nature of the science of evolution, he goes well beyond established DNA understanding with a discussion of the possibility that Lamarkian theory (individual behaviors can result in genetic modification in an individual and that trait be passed on to offspring) could be coming back in vogue. There is a lengthy discussion of what the young science of epigenetics is discovering about the effects that "methylation" has on our genome. It seems that methylation is some communication media that attaches to particular genes within an individual and modifies the on/off switch and even the strength of its expression without actually modifying the DNA. I found rather fascinating the claim that the behaviors of a prospective mother can alter the expression of genes in her baby, but she can influence development even before her fertilized egg has implanted in her uterus. Even more amazing, and, I think, not fully substantiated in the book, is the claim that behaviors of the baby's grandmothers, and even of its father and grandfathers can influence gene expression in the developing fetus. He does admit, however, that the jury is still out on some of this research. I loved this existential summary: "Your genes are the evolutionary legacy of every organism that came before you, beginning with your parents and winding all the way back to the very beginning. Somewhere in your genetic code is the tale of every plague, every predator, every parasite and every planetary upheaval your ancestors managed to survive. And every mutation, every change, that helped them better adapt to their circumstances is written there." Survival of the Sickest is a fun read. I found myself smiling at the author's use of metaphor and expression, and at a few puns he sprinkled here and there. You'll get a different perspective on the utter pervasiveness of evolution, on how this universe operates at the biologic level, and of how we fit within it. I highly recommend it. Evolution in a way you never knew! Everything out there is influencing the evolution of everything else. The bacteria and viruses and parasites that cause disease in us have affected our evolution as we have adapted in ways to cope with their effects. In response they have evolved in turn, and keep on doing so. There are many dietary diseases that have had an evolutionary advantage in our ancestors but that today do more harm than good. In a person with hemochromatosis, for example, the body always thinks that it doesn't have enough iron and continues to absorb iron unabated. The excess iron can lead to liver failure, heart failure, diabetes, and even cancer. Why would a disease so deadly be bred into our genetic code? Remember how natural selection works. If a given genetic trait makes you stronger--especially if it makes you stronger before you have children--then you're more likely to survive, reproduce, and pass that trait on. People with hemochromatosis have therefore an evolutionary advantage--protection against the bubonic plague! On one set of experiments, macrophages from people who had hemochromatosis and macrophages from people who did not were matched against bacteria in separate dishes to test their killing ability. The hemochromatic macrophages crushed the bacteria. They are thought to be significantly better at combating bacteria by limiting the availability of iron than the nonhemochromatic macrophages. So though hemochromatosis will kill those inflicted with it decades later, they are much more likely than people without hemochromatosis to survive plagues, reproduce, and pass the mutation on to their children. Diabetes also provided an evolutionary advantage to our ancestors by providing superior ability to withstand the cold by eliminating water and driving up sugar levels (like alcohol, sugar is a natural antifreeze). As a theory, it's hotly controversial, but diabetes may have helped our European ancestors survive the sudden cold, including the ice-age. Malaria is an infectious disease that infects as many as 500 million people every year, killing more than 1 million of them. But not everyone who gets bit by malaria-carrying mosquitoes gets infected. And not everybody who gets infected dies. So what's helping the malaria survivors? People with a genetic tendency for sickle-cell anemia, another inherited blood disorder, had better natural resistance to malaria. As you've seen with hemochromatosis, diabetes, and sickle-cell anemia, one generation's evolutionary solution is another generation's evolutionary problem. At the end of the day, every living thing shares two hardwired imperatives: Survive. Reproduce. To achieve this, some organisms have inherited ingenious techniques to manipulate their hosts--the phenomenon that occurs when a parasite provokes its host to behave in a way that helps the parasite to survive and reproduce. Orb weavers are a family of spiders that experience host manipulation. A wasp bites the spider, temporarily paralyzing it, then deposits its egg in its abdomen. The spider then goes on with his life oblivious to the egg in him. The egg then hatches, and the larva slowly feeds off the blood of the spider. When it is ready to cocoon, it injects chemicals into the spider's bloodstream to manipulate the spider into building a special web for it--instead of building circular webs, it goes back and forth building a rectangular web. Once the web is completed, the larva kills the spider by sucking off all its blood, and then throwing its carcass to the jungle floor below. It then uses the specially built web for it to cocoon by hanging on it. A worm that infects ants is a classic example of another host manipulator. As the worms being carried by the ant develop, one of them makes its way to the ant's brain where it manipulates the ant's nervous system. Suddenly, the ant behaves in completely uncharacteristic fashion. At night, it leaves its colony and hangs on the tip of a grass, waiting to be eaten by a sheep. If it does not, it returns to its colony only to resume again its journey at night to the tip of a grass waiting to be eaten. Once eaten by a sheep, the worm would have succeeded in its manipulation, and would grow inside the sheep's stomach, its intended host. The rabies Virus is another interesting host manipulator. It manipulates its host into becoming aggressive, which will make its host bite others and thus also infecting others. Here is one amazing example of host manipulation: One researcher has discovered that women infected with T. gondii spend more money on clothes and are consistently rated as beings more attractive than women without the infection. Infected women were more easy-going, more warm-hearted, had more friends, and cared more about how they looked. However, they were also less trustworthy and had more relationships with men. Infected men, on the other hand, were less well groomed, more likely to be loners, and more willing to fight. They were also more likely to be suspicious and jealous and less willing to follow rules. A normal sneeze occurs when the body's self-defense system senses a foreign invader trying to get in through your nasal passages and acts to repel the invasion by expelling it with a sneeze. But sneezing when you've got a cold? There's obviously no way to expel the cold virus which is already lodged in you. The cold virus has learned this reflex so it can infect your colleagues, family and your friends. Your body is actually being manipulated by the virus into sneezing! The herpes virus may heighten sexual feeling, which will increase the probability of transmission. In other words, sometimes the herpes virus may want you to get some action in order for it to spread to other hosts. So what if we made it easier for a given type of bacteria to survive in a healthy human than to survive in a sick human? Would this create evolutionary pressure against behavior that harms us? In fact there is an evolutionary advantage for the malaria parasite to push its hosts toward the brink of death. The more parasites swarming through our blood, the more parasites the mosquito is likely to ingest; the more parasites the mosquito ingests, the more likely it will cause an infection when it bites someone else. Cholera is similar--it doesn't need us moving around to find new hosts, so there's no reason for the bacteria to select against virulence. The bottom line is that if an infectious client has allies (such as mosquitoes) or good delivery systems (such as unprotected water supplies), peaceful coexistence with its host becomes a lot less important. In those cases evolution is likely to favor versions of the parasite that best exploit its host's resources, allowing the parasite to multiply as much as possible. Some researchers believe that we can use this understanding to influence the evolution of parasites away from virulence. The basic theory is this: shut down the modes of transmission that don't require human participation and suddenly all the evolutionary pressure is directed at allowing the human host to get up and get out. According to this theory, the virulence of a cholera outbreak in a given population should be directly related to the quality and safety of that population's water supply. If sewage flows easily into rivers that people wash in or drink from, then the cholera strain would evolve toward virulence--it can multiply freely, essentially using up its hosts, relying on its access to the water supply for transmission. But if the water supply is well protected, the organism should evolve away from virulence--the longer it remains in a more mobile host, the better its chance of transmission. A series of cholera outbreaks that began in Peru in 1991 and spread across South and Central America over the next few years provide compelling evidence that this theory might actually work. The water supply systems from country to country ranged from relatively advanced to seriously rudimentary. Sure enough, when the bacteria invaded nations with poorly protected water supplies, such as Ecuador, the virus became more harmful as it spread. But in countries with safe water supplies, such as Chile, the bacteria evolved downward in virulence and killed fewer people. The implications of this are huge. Instead of challenging bacteria to become stronger and more dangerous through an antibiotic arms race (which we are currently losing), we could essentially challenge them to get along. If mosquitoes didn't have access to bedridden malaria patients, the microbe would be under evolutionary pressure to evolve in a way that allowed the infected person to remain mobile, increasing the opportunity for it to spread. A series of groundbreaking research has shown that certain compounds can attach themselves to specific genes and suppress their expression. Let's take a look at a few examples. Depending upon the time of year the vole (a type of mouse) is due to give birth, baby voles are born with either a thick coat or a thin coat. The gene for a thick coat is always there--it's just turned on or off depending on the level of light the mother senses in her environment around the time of conception. One species of lizard is born with a long tail and large body or a small tail and small body depending on one thing only--whether their mother smelled a lizard-eating snake while pregnant. When her babies are entering a snake-filled world, they are born with a long tail and big body, making them less likely to be snake food. This is a fascinating book and I highly recommend it. I truly enjoyed reading it and I have learnt things I never imagined! Now that's what I call precious reading! I was both humbled and honored to be included in the first chapter of in Dr. Moalem's new book. Dr. Moalem has written a book that is both fascinating and compelling in introducing the world to new ideas about why we as humans have survived over the centuries. I can only tell you from firsthand experience that his assessment of hemochromatosis is accurate because I live with hemochromatosis and know what this disease can do to a human being...I live with it everyday. It is often described as the "silent killer" because so often only the symptoms are being treated and not the cause, iron overload. That said, through early diagnosis one can possibly live a relatively normal and healthy life. After my diagnosis and aggressive blood therapy (which I will do for the rest of my life) I was bound and determined to return to a life that I once knew. And, that was including running as a part of my life. Returning to physical activity was hard, but what was harder was wondering whether I could run again and if I could run then could I run as far as I once did...marathons. Not only did I return to marathons, but I entered and completed the "toughest footrace on earth," the Marathon Des Sables....a 150 mile running race across the Sahara Desert where runners must carry all of the equipment to survive the race in their backpack. I did this to demonstrate to myself that "I was back," but also to show others faced with this disease that it is possible to return to some semblance of a normal life. I have had the opportunity to meet with Dr. Moalem on several occasions and I am confident that this will the first in many ways that we will see and hear from Dr. Moalem. He encourages us to think outside of the norm while at the same time addressing health issues in a clear and understandable way. I applaud Dr. Moalem for this outstanding book and hope that we will encourage others to learn more about disease by reading his book. Because of the lively style of the author this book is easy to read even though it covers complex subjects. The author provides you an intriguing education in genetics. The title suggests the book is about a single theme (yesterday's beneficial genetic adaptations are harmful today). But, it is not. It covers many fascinating topics. More important than the above subject is the author's fascinating introduction to the new field of epigenetics. Until now, we viewed the genetic make up as a static blueprint. It is not. Epigenetics the science of how genes get turned on or off suggests that the key is how genes express themselves. A lot of the switches turning happen in the womb. What a mom eats and what she feels will have epigenetic repercussions on the fetus. The bonding between a mom and her baby in the first 4 months represents another period of gene on-and-off switching. Throughout life, our behavior and exposure to toxins have epigenetic effects. They tracked identical twins and found that some were prone to cancers others not, some were vulnerable to various psychic neurosis others not. So, the expression of genes affected by epigenetic factors that can be nutritional, environmental, and emotional is critical to understanding health outcomes. Geographical adaptation is very interesting too. Sunlight is very good for us as it converts cholesterol into vit. D. The latter protects against all kinds of cancers among other health benefits. But, sunlight is also bad for us as it burns up our reservoir of folic acid. A deficiency in folic acid has detrimental effects including melanoma (the deadliest skin cancer). Tropical latitudes with much sunlight provide us an abundance of vit. D but deplete folic acid. As a result of natural selection, human beings developed darker skin in these areas to preserve their folic acid reserves. In northern latitudes weaker sunlight provide the opposite challenge (less vit. D generation, but higher folic acid reserves). Humans adapted by developing lighter skin letting more rays in to convert cholesterol into vit. D. As a result, prostate cancer rates are much higher in dark skin men who live in northern latitude. And, melanoma rates are much higher in light skin individuals who live in sun drenched areas. There is much interesting trivia within this book. The scent of someone you find sexually attractive is often a sign that you have dissimilar immune systems which will give your children wider immunity than either parent. Check out the narrative on how a wasp becomes an alien and deadly host of a spider. It is more frightening than an Edgar Allan Poe story. The aquatic ape theory is intriguing. So is Edwald's theory on how to fight off bacteria without using antibiotics. In bad times more male miscarriages occur. This is because male fetuses are more tasking on the mom. And, male toddlers are more fragile associated with lower survival rate. In hard times to enhance survival, a species is better off with fewer but strong males and many females than the reverse. The author mentions countless other fascinating if not occasionally trivial fact. I usually recommend similar books to the ones I review. But, this is the only introduction to epigenetics for the layperson I know off. This book about genetics, evolution and disease is a genuine page turner, that's how deeply interesting it is, and how well it is written. The basic premise runs like this: The environment puts pressure on all living things, including humans, to evolve characteristics that help us survive long enough to reproduce and pass on our genes. Over the millenia, various conditions such as drought, ice ages and other climate changes have sparked genetic mutations that enhance our abilities to survive. These include some biological conditions that are advantageous in the short term, but sometimes detrimental in the long term. For example, today we consider diabetes mellitus a serious disease because it raises human blood sugars to dangerous levels that can result in loss of limbs and sight, among other problems. However, in an ice age, when temperatures were significantly lower than they are now, having extra sugar in the blood may have enabled our ancestors to survive the cold because sugar lowers the temperature at which we freeze to death. Similarly, Sickle Cell Anemia may have evolved to help people resist malaria. What's especially interesting is that this theory would explain why ethnic groups that are prone to diabetes -- Scandinavians and people from the British Isles, for instance -- originally came from northern areas that were at one time covered by glaciers. And the ancestors of those groups that tend to carry the genes for Sickle Cell generally originated from climates in which malaria was prevalent. Another intriguing idea is that some "sicknesses" only become serious problems when an individual is older and past his or her prime reproductive years. So if one of our ancestors had, for instance, a chronic disease like diabetes, it probably wouldn't kill him/her until after the person had children. In Survial of the Sickest, Moalem has a refreshing take on the purpose of many genetic ailment's and diseases - that they are actually evolutionary mechanisms that serve to protect the organism! The book is loaded with numerous and engaging examples of the connection between sickness and longevity such as the link between hemochromatosis and surviving bubonic plague, resistance to malaria and sickle cells and many others. There is also an introduction to an exciting field known as epigenetics - how children can inherit traits without changes in the underlying dna or put another way - how the expression of genetic traits is a bit more malleable than thought and how environmental factors can actually effect genetic expression. This is one of those books that is a delightful read, educating, interesting, and entertaining. The author puts forth his theories that many modern diseases are variations of evolutionary traits that were held by our ancestors that enabled them to survive the ice age and bubonic plague. He goes on to describe how viruses cause certain behavior in their carriers to help the viruses survival. The common cold leaves you well enough to stay moving and go to work so you can spread the virus to others, while the parasitic malaria wants you immobile and in bed because mosquitos can continue to carry it even better with you immobile. The author also presents a case currently making head way in evolutionary science that is challenging the savannah theory. He proposes that we are evolved form aquatic apes as opposed to grassland dwellers, which would explain our hairlessness like other aquatic mammals and being bipedal. We also have fat stored at the skin like water dwellers and our infants have swimming instincts at birth that have been proven by water birthing that is very successful. And finally I was really fascinated by the finding that what scientists have believed were "junk DNA" is slowly being shown to actually be a creative force that causes mutations in DNA for the benefit of survival of the species. I have always had trouble believing in the evolutionary theory because no mechanism could be created with causing it outside of God, and God would not need it. I also believed that the key was in DNA. Now I have a cause, the DNA itself creates and casues beneficial mutations. We really don't "need" disease. This is a bit misleading. It just so happens that some genetic disorders, such as sickle-cell anemia, favism, diabetes, hemochromatosis, the tendency to obesity, etc., confer on the afflicted compensatory advantages. Thus a predilection for getting fat is adaptive if a drought or a long winter beckons, or a person with a genetic tendency toward sickle-cell anemia is less likely to get malaria, and so on. Note that it is only diseases caused by genetic mutations that Dr. Moalem is talking about. One of the techniques our bodies use when fighting infection is to reduce the amount of iron available to the invaders. Bacteria need iron to reproduce. If there is a lot of it available their numbers can grow quickly. Without iron they can't reproduce at all. Iron is a limiting factor for many kinds of life. Vast stretches of ocean support little in the way of life because the microorganisms that begin the food chain can't grow where there is so little iron. As Dr. Moalem reports in this wide-ranging and eyebrow-lifting book, sprinkle some iron onto those patches of ocean and they will quickly turn green with microorganisms. So it is a bit of an irony that people who have hemochromatosis, a genetic disorder that causes them to retain large amounts of iron in their bodies, are able to survival infections like the plague. This is because they starve the invading microbes through "iron locking." They have a lot of iron in their bodies, but they keep it away from the bacteria. Other people who have low levels of iron in their bodies are able to withstand bacterial attacks because they also keep what little iron they have away from the germs. In fact, one of the body's initial responses to microbial invasion is to limit the amount of free iron in the system. Genetic coding for levels of iron in the body is an example of evolutionary adaptation, part of the ongoing arms race between us and the microbes that live in and on our bodies. This is just one of several interesting and new ideas coming from the growing science of evolutionary medicine that I found in Survival of the Sickest. Incidentally, one way to manage hemochromatosis is through donating blood on a regular basis, which explains in part why physicians of old were sometimes successful when they bled their patients. This got me to thinking about "only women bleed" which led me to think about hemorrhoids (which prove that it isn't only women who bleed). Perhaps bleeding instead of retaining blood, which seems like the more natural thing for our bodies to do, has adaptive value in some people in some environments. Another interesting idea is this from page 58: "ACHOO syndrome--its full name is autosomal dominant compelling heliopthalmic outburst syndrome." It is a "disorder that causes uncontrolled sneezing when someone is exposed to bright light, usually sunlight, after being in the dark." Dr. Moalem suggests that "way back when our ancestors spent more time in caves, this reflex helped them to clear out any molds or microbes that might have lodged in their noses or upper respiratory tract." Now this may sound a bit far fetched, but I have suffered from low grade allergies all my life, and used to have asthmatic attacks. I came to believe that the buildup in my lungs and the sneezing were signals to me to move on! Of course now I clean and vacuum like a germaphobe, but the idea is the same. My symptoms were adaptive. They more or less forced me to reduce the level of potential irritants and microbes in my environment. But there is more. I noticed long ago that sometimes the sun in the morning would cause me to sneeze. I never figured out why until I read the above from Dr. Moalem. I am just the kind of person who would need to sneeze those molds out. That some diseases express themselves as survival traits, or could be precursors to a genome's ability to ward off disease, is a fascinating topic. Some disease origins, such as sickle-cell anemia, seem very obvious in the context of their emergence; others...well, maybe. Dr. Moalem engages in some speculation, but even though this book is written for the general, non-scientific reader--in language that is a little bit too cutesy sometimes--he is still careful to add qualifiers and provisos. He makes no claims, he just presents causality observations of various disease origins, extrapolating from research going on in the field. The chapters on genetic diseases become a bit serpentine. Wandering genes and epigenetic factors contribute to a chaos of influences that seem to reinforce punctuated equilibrium or validate Lamarckian genetics, in which the acquired traits of a parent could be passed on to offspring. A genome under stress would somehow know to re-write itself by randomly throwing out proteins to switch genes on or off. If a beneficial gene is modified, then that change is incorporated as a survival trait--in other words, random mutation. These observations demonstrate that a variety of factors contribute to natural selection, all of which are probably valid. I love this book! It's a fascinating read that anyone can enjoy because you don't need a scientific background to get it. I recommend it to patients all the time. Understanding how sunlight causes the conversion of cholesterol in the skin into Vitamin D, alone makes the book worth reading. This is important because we are being "sold" cholesterol lowering drugs daily. The premise of the book is that disease itself provides the environmental stimulus which lead to genetic mutations that allow for "survival". They don't argue that disease is good, but rather explain why it came about. What we are today calling genetic diseases are, in fact, the result of adaptive response to conditions which would have otherwise resulted in death. For example, people who today carry the gene for sickle cell disease are the offspring of people who lived in Malaria prone regions of the world. While many of their fellow men and women were dying of malaria, some individuals developed genetic mutations that made their red blood cells sickle in the face of the malaria parasite. These people survived and passed this gene on to their offspring. Present day offspring still have this gene, whether they live in a Malaria prone region or not; but you can see that the very existence of this genetic variation was a strategy for survival in the face of an environmental threat. So, if you carefully research a genetic disease you should find some environmental circumstance that drove that particular genetic adaptation which allowed for the survival of that exposure; whether it's from an infection; toxic plants or whatever. Another example is that people whose ancestors lived in places where there are a lot of toxic plants have evolved the capability of rapid metabolizing various drugs by their liver. [The relevance of this is that today people often have adverse drug reactions that are due to their unique genetically driven metabolism that dictates how they process drugs. Consequently, even when using a medication in appropriate doses; for the correct reason; in the correct timing can still result in adverse reactions due to these unique genetic variations. This makes it difficult to always prevent adverse medication reactions. These reactions are usually labeled as "errors". For example hospitals put in check and balances and redundancies to prevent "errors", but how do you mitigate against an individual's unique genetic variations?] This book is filled with all sorts of examples of this nature. With a little imagination you can come up with plenty of additional circumstances where you can apply the premise on your own. Most of us grew up thinking that genes are just something that we inherit from our parents and pass on to our offspring, but otherwise genes just sit around inside of our cells. The subject of epigenetic has changed that thinking. Our genes can and do actually change from an environmental demand!! This is HUGE guys!! It is such a big deal that for most of us it takes a while for the significance of this concept to sink in. Consider the environmental pressure of constant famine; a genetic response may be the capability of surviving on very little food. All of us are "survivors" of ancestors who faced some sort of threat (just like those discussed in the book) and therefore we all have these little quirky gene variations. Considering where on the globe and the environment that your ancestors came from can help you understand why you may be at risk for various diseases, but it can also help you see why your genes may protect you from others. You don't need any knowledge of science to love this book; all you need is a curious mind. The only complaint I have about this book is that the cover refers to Dr. Moalem as a "medical maverick." I don't see the assertions Dr. Moalem makes here as being particularly controversial (at least, for anyone who accepts the basics of the theory of evolution). The fact that diseases are evolutionary pressures on the development of the human species seems very straightforward. Granted, how Dr. Moalem interprets some of these pressures may be subject to debate; however, the basic premise is sound. In fact, for anyone interested in the contemplation of the development of humans, this is a wonderful book. It's the kind of book that reads so well that, afterwards, you feel like you should have realized what she's been telling you all along. For example, the idea that our bodies have adapted to various diseases seems obvious. What should be obvious but isn't necessarily is the idea that some of these adaptations which served us well for millennia have become liabilities in the twenty-first century. Take hemochromatosis. It is a surprisingly common genetic disease among people of Western European decent--one in three carry at least one copy of the gene--that causes an abnormally high level of iron in the body. Unchecked, it can lead to severe illness and death. But we also know that hemochromatic macrophages have an advantage in the fight against bacterial invasion. Is it possible that people with hemochromatosis had an advantage in surviving the plague in the 13th century, which is why this gene is common now? Dr. Moalem makes a good case. And what about diabetes? Most common in cultures that descend from regions of cold climate. Why? Because driving up sugar levels is a natural response to cold. It forces dehydration, and digesting sugar generates heat, both advantages in the cold. It may be a leftover from our ancestors who survived the last ice age, when bodies were forced to use the limited food supplies to best advantage. Now that we live longer and eat more, high sugar levels have become dangerous. And consider diseases like malaria and the common cold. Why does malaria make us so sick we end up in bed whereas most of us can stay ambulatory with a cold? How about because it gives a transmission advantage to each disease. Malaria wants us still so more mosquitos can get at us. A cold wants us out and about to pass the germs on to others ourselves. Evolution is an amazing thing. But I think my favorite example Dr. Moalem gives is her speculation against the "savanna hypothesis." This hypothesis says that our ape ancestors moved from all fours to walking on two legs as a response to the new struggles to get food as they moved from the forests to the savannas. The weakness in this theory, however, is that it is very male oriented as males were the primary hunters. Evolution has to impact across gender. Moalem is a supporter of the "aquatic ape" hypothesis, which says that our distant ancestors spent much of their time in and around water. It explains much: why we became bipedal, why we lost fur, why our nostrils face down, why fat is attached to our skin and why babies are born the way they are (leading to much more difficult childbirth for we earth-bound humans). This book will change the way you think about disease. This is an absolutely fascinating book. It's written by a doctor named Sharon Moalem. The book discusses the relationships between disease and evolution. Most people are familiar with the example of sickel cell anemia. It is a genetic blood disorder in which red blood cells are malformed at not at all efficient at their intended function. In modern society sickel cell anemia is wholly a negative thing. It raises the question of why such a mutation would develop and then thrive through a population - if it didn't offer some function that promoted survival. The answer is that it does - or did. Tracing back the lineage of people with sickel cell, it can be seen that their ancestors came from the north African and mediterranean regions where malaria was more than epidemic. Guess what - sickel cells don't support the protozoa that carry malaria. Sickel cell was an adaptation that increased the odds that a carrier would live long enough to reproduce. This book has chapter after chapter of other examples. It argues that who we are today is a product of the diseases our ancestors faced. I found it fascinating that about a third of our DNA is actually old viruses. In his discussion on methylation, the author references another study that most of us probably heard about, earlier this year. It has been found that there is a relationship between kids with asthma and grandmothers that smoke - even if there is no contact between them or if the grandmother stopped smoking before the kid was born. When a woman is born, all of her eggs are already developed - meaning all of your mothers eggs lived, for a time, inside your grandmother. Methylation, from the grandmother can flip the genetic switches, inside those eggs, that relate to asthma. I've done this book an injustice by trying to tell some of its stories in my own clumsy words. I highly recommend reading this well narrated book. It is compelling to read. This was a very readable book that combines science and evolutionary theory to explore why human beings are afflicted with certain diseases. Diseases like type 1 diabetes, hemochromatosis and high cholesterol actually served a purpose in the history of mankind. While they are terrible and many cases incurable, they actually helped humans to survive. And when given the choice of dying right away versus dying later, our evolutionary gene will always push for the latter. I recommend this for anyone who is interested in evolutionary theory, anyone who has read and enjoyed J. Diamond's "Guns, Germs and Steel", or anyone who is interested in understanding why and how things work. I'm a twice survivor of type 5 Melanoma, it doesn't get worse than this. I am 54 and got melanoma 5 first when I was 26 and again when I was 52. Both times I was given no chance of living and I have had no Chemo or Radiation therapies. Now since my last cancer I found out I have hemmochromatosis (iron overloading). Hemmochromatosis is what led me to this book, its fascinating what the body can do in it's own defense, but I have also learned through this book to live with cancer as a companion not an enemy and how to control my iron without having blood withdrawn every week. I decided that the human body knows quite well how do get along with diseases, after all they have been companions for thousands or more years. Can it save your life? No it didn't save mine, but I understand more about the body and how it works to preserve itself . . . I mean it shouldn't be you and the doctor against your body, when the body is sick, it should be you and the body as one working together and this book helps you know how to do that. Its so simple its difficult so you ought to just read the book and see what I mean. I have never been inclined to read non-fiction books. However, I picked this one up out of an interest in science (I study Biochemistry and Physiology). This book turned out to be a fascinating page turner. Even for those who have a relatively significant amount of scientific background, there is so much to learn from this book. Granted, reading a theory presented here shouldn't be your only means of research, but the book is very authentic and accurate. For those who argue that his theories are "ridiculous" or "radical", I invite you to keep in mind that the initial stages of any proposed theory has almost always been considered radical. Furthermore, the author very notably presents these arguments as NEW THEORIES, and thats how they should be taken: Interesting new possibilities in an ever-changing field of scientific inquiry. For those who say the information presented regarding genetics and physiology is inaccurate, I invite you to explain further, because based on my studies, the book is entirely representative of present-day models in such fields. At any rate, this was one of my best reads of the year and I've suggested it to all my friends, scientists and non-scientists. The author describes an evolutionary phenomenon that is well known in science in a context that is fun, clear, readable, and genuinely fascinating, providing examples that are both well-known and not so well-known. I highly recommend this book. It was a fun read, and it has given me some background to understand several issues being discussed in the news, and a context for the snippets of biological and medical research that I read in the popular science press. The book is about the co-evolution of bacteria and viruses with their hosts (that's us, sometimes, anyway), and how that plays out in our lives today. Searching out these relationships has to be a demanding, detailed, confusing and sometimes tedious job. Dr. Moalem presents that search in clear, compelling and exciting stories, and every chapter is a real page-turner. The later chapters on epigenetics and cell death and cancer were very intriguing. These studies seem to be in their infancy, and so will be subject to some hotly contested and entertaining revision over the next several years. While reading these chapters, I kept having flashes of an epigenetic origin for the X-Men or Hiro in "Heroes", or a cause for why the Immortals in the Highlander series couldn't have children, etc etc etc. There is much fodder for the fantasy and science fiction writer here! I haven't paid much attention to biology since junior high, and the changes in how scientists are thinking about genetics and evolution just blew me away. I enjoyed this book a lot! Somewhat difficult subject matter for those lacking a background in science or medicine..
From time to time I pick up a book on a subject I know virtually nothing about. Ordinarily I devour books about history or politics or current events. These are topics I am well versed in and comfortable with. Dr. Sharon Moalem's "The Survival of the Sickest: sounded like a fascinating departure from my ordinary fare. So I thought I would give it a whirl. Unfortunately for me the results were somewhat mixed. Although Dr. Moalem and his co-author have written this book in fairly simple language that most should be able to follow pretty easily I found myself overwhelmed at times by the number of terms I was simply not familiar with at all. I'm afraid my lack of education in the sciences was showing. Blame me not the good doctor. Yet in spite of these difficulties I was still able to glean some important information from this book. I now have a somewhat better understanding of the whole business of why disease exists in the first place. I also discovered the important role viruses play in our ability to survive and reproduce. I also found out that the development of diabetes in human beings probably emerged as natures response to people having to cope with conditions in regions with extremely cold temperatures. This makes perfect sense and was interesting to me because a number of people in my family have battled this disease. Perhaps the most fascinating thing I learned in "Survival of the Sickest" is that exposure to the sunshine actually helps to convert the cholestorol in our bodies into the vitamin D we all need to ensure strong bones and help avoid osteoperosis. I had never heard this before and found this revelation to be quite interesting indeed! Fascinating Read: A Biological "Whodunnit"
Amazing and a real page turner! I'm paying my sons both 20.00 to read this book, because it opens up the doors to so many mysteries all around us! "DNA isn't destiny--it's history. Your genetic code doesn't determine your life. Sure, it shapes it--but exactly how it shapes it will be dramatically different depending on your parents, your environment, and your choices. Your genes are the evolutionary legacy of every organism that came before you, beginning with your parents and winding all the way back to the very beginning. Somewhere in your genetic code is the tale of every plague, every predator, every parasite, and every planetary upheaval your ancestors managed to survive. And every mutation, every change, that helped them better adapt to their circumstances is written there." So writes Dr. Sharon Moalem, a geneticist and evolutionary biologist in "Survival of the Sickest"--the story of how disease is forever linked to our and the Earth's past through evolution. Why afterall, is there, and always has been, so much disease afflicting humanity? From numerous plagues to influenza pandemic to AIDS to cancer millions have died of regardless of space or time. There will always be disease because of the nature of life: all organisms want to live and reproduce, Dr. Moalem explains. Diseases are caused by bacteria, parasites and viruses, some of which survive by harming humans. Bacteria and viruses reproduce and evolve much faster than humans, and a new strain of either can potentially cause harm to a person or population that doesn't have a built-in response to fight it. That is exactly what happened with the bubonic plague in the 14th century in Europe. However, over time, the plague subsided. Fast forward a couple hundred years and the medicinal practice of bloodletting is widespread on the continent. Fast forward to the late 20th and 21st century and scientists discover that hemochromatosis, afflicting a small but not insignificant number of people with European ancestry, is an inherited disease whose victims die prematurely because of excess iron in their blood. What is the connection between these three events? This is just one amazing story of how evolution plays a role in disease. There are many others discussed by Moalem, including, the reasons why so many northern Europeans inherit a propensity to develop Type 1 diabetes, why malaria victims are bed-ridden, and why mothers affected by malnutrition have babies that can cope better in harsh environments. "Four out of five dentists may recomment Trident-but ten out of ten infectious-disease experts will give you the same answer if you ask them to solve that riddle: the answer is malaria." "Too many solanine-rich french fries and you're french fried." This book gets three stars for being interesting and informative, but also obnoxious and dumbed-down. Interesting, but now I have even MORE questions. I thoroughly enjoyed reading Survival of the Sickest. I thought this book would be boring, lagging on about nothing for pages on end. When I started to read it, however, I got a pleasant surprise. This book is filled with information, facts, theories, and how mankind has evolved. I was absolutely engaged in this book, I'm seriously glad I got to read it. The thing I think I found most interesting was the aspect of how diseases that now harm us, helped us to survive long ago. For instance, with hemochromatosis, the macrophages inside the body lacked iron. Since macrophages rely on iron to feed and multiply in some cases, the macrophages are getting a free ride by using the iron to get around and infect the rest of the body. In people with hemochromatosis, there is not any iron to allow the macrophages to multiply, therefore making time for the immune system to make antibodies. Therefore, people with hemochromatosis were actually the ones to survive the plague, although the disease could still kill us today. It is so interesting to me that these diseases that once helped us and still in our world today, especially since the bubonic plague is generally over. Also, many of the cases of hemochromatosis is found in people who descended from Western Europe, a place where the plague hit hard. I was also interested in plants and all of their defense mechanisms. Like the plants that made sheep sterile so they could not reproduce and make more sheep to eat other plants. Also, the defense mechanism of the spicy pepper to ward away animals was interesting. It is very interesting that plants adapt to their environments according to external factors, just like humans do. We're used to thinking of disease as the enemy, as a malicious force that makes our lives shorter and more miserable. That may be exactly what "disease" is on an individual basis--but its value to the species as a whole is a different matter. Dr. Moalem elegantly explains why medical conditions that are deemed to be diseases today often helped our ancestors survive and reproduce in difficult environments. Take hemochromatosis, a hereditary condition that causes iron to accumulate in a person's internal organs, eventually leading to death. Although the gene that causes hemochromatosis was once thought to be rare, research completed in 1996 found that it's actually surprisingly common. Why wouldn't such a terrible disease have been "bred out" of our species long ago? The answer is that hemochromatosis reduces the amount of iron available to iron-loving bacteria, such as the bubonic plague that depopulated Europe in the mid-1300s. A person living in the Middle Ages with the hemochromatosis gene would have eventually died from iron build up, but in the meantime would have have had a smaller chance of dying from the plague and other iron-loving infections--in an age when few people lived past the age of 50, the disease resistance conferred by hemochromatosis far outweighed the disadvantage that would have materialized if the person carrying the gene had lived to old age. People with hemochromatosis reproduced and passed the gene one to their heirs; those without it died of the plague, without children. "Survival of the Sickest" is filled with similarly surprising observations. Anemia may be the body's way of reducing iron available to bacteria--giving an iron supplement to a malnourished population may be a bad idea and ironically (so to speak) medical bloodletting may not have been such a bad idea. Type II diabetes may have been a condition that conferred an advantage on northern Eurpoeans during the ice age, when an increase in sugar in the bloodstream and frequent urination would have reduced the risk of freezing to death. Similarly, sickle cell anemia offers protection from malaria. In the "good old days," a genetic condition that kept a person from dying before reproducing would have been a boon, even if the condition would have turned killer if the person managed to reach old age. The book is filled with other "big ideas, briefly discussed." Instead of battling bacteria with antibiotics (which is only making them tougher), perhaps we could manage their evolution so that they thrive by inconveniencing their host (like a cold) instead of by flooring it (like malaria). And, although Dr. Moalem seems to agree that natural selection is the big driver of evolution, he observes that perhaps Lamarck wasn't so far off after all--jumping genes, retroviruses and methylation all suggest that an organism's life experiences can in certain circumstances affect future generations. As for aging--perhaps our bodies are designed by natural selection to limit the number of times a cell can reproduce (thus insuring that we will all die from old age if something else doesn't get us first), the alternative being an excess of cells without such a limit (in other words, cancer). This is a very good book, a very good book indeed. Well written and full of "Hmmmm, that's interesting. "; "Gee, I didn't know that. ", and "I'd like to read more about this." moments. This book embodies much of what I dislike in popular cience books, while having few of the qualities I admire in such books. It relies more on sleigh of the hand and razzle dazzle, you-wouldn't-have-thought-of-it than on throughly thought out, well substantiated lines of thought. Let's start with the subtitle: "A medical maverick discovers why we need disease". That is a clear case of fiction: nowhere in the book does the author "discover" anything; he merely retells the study of others. This, of course, is not a demerit, as many interesting scientists have difficulties in explaining their work in clear terms, acessible to the layman. However, the author must be hyped as the "discoverer", as the center figure in the tale. Since James Burke's "Connections", it seems that popular science must explore all the crossroads, no matter how irrelevant. So Moalem goes on long tangents that have little to do with the theory he is trying to substantiate. In order to show how diabetes works to protect the body against cold, the reader is taken through the mechanism of an ice age, how ice core samples are removed and so on. If one were to remove all this "extra" material, this book would be thin indeed. The book seems to revolve around this material and the author's use of jokes. Unfortunately, his sense of humour tends more towards ha-ha than funny, which helped to further fray my patience towards this book. If Moalem and Prince were more careful with their facts, and pointed their readers to other works in this field, I would rate this book 5 stars. It is lively and readable, and will please many light readers. On the other hand ... while there is a reference in the notes to a Scientific American review article by Nesse and Williams, there are no mentions of their excellent books "Why We Get Sick" and "Evolution and Healing". While a light reader may find those books a bit dry, a more scientifically minded reader will find much food for thought. Moalem and Prince are not trying to be scholarly, but they should acknowledge their scholarly antecedents. There are echos of Nesse and William's "Evolution ... " in the structure and style of Moalem and Price's "Sickest ...", and that should be noted. The material on human cryonic suspension (page 42 of the first hard cover edition) should either be properly researched or left out of future editions. Wood frogs cannot depend on external interventions to recover from freezing - humans have more options. Whether cryonics will eventually work or not, cryonics practitioners focus on the minimization of freezing damage to cellular structure, and perfuse their subjects with high concentrations of ice-thwarting chemicals. Research in this area is already improving preservation for transplants. There is still massive cell damage, of course, and the cryonic subjects beginning the process are already "dead", so there will be a lot to repair. However, the structural, chemical, and genetic information necessary to make those repairs and replacements is preserved by the modified freezing process. Molecular scale nanomachines and external computation and direction will be essential to repair the damage, but high-tech external manipulation is needed now to cure many diseases. The necessary technology is under development. Check the Alcor (www.alcor.org) and Foresight Institute (www.foresight.org) websites for pointers to these fascinating subjects. They, too, can be a little purple in their prose, but they usually acknowledge the speculative nature of their work, and the long road ahead of them. So, bloodletting got a bad rap! I found the book's insight into practices such as bloodletting to be worth the price of the book alone. So often we believe we know everything today. I always wondered why people didn't simply bleed to death and stop the practice of bloodletting. Well, it turns out, if you read this book, that there is some medical benefit to bloodletting (if you don't go too far with it). I knew of this when my relative was diagnosed 40 years ago with a disease of anemeia, which required that he get blood transfusions frequently. Once I was told that he was getting dangerous build ups of iron from this and that the best way to relieve this was by giving blood transfusions. It all clicked when I read this book. I leave it to the reader to enjoy the irony (pun intended) of the truth about bloodletting. There's some good medical reasons why this is not the witch burning mentality we are led to believe. Why do genetic diseases survive the tests of natural selection? This is a perplexing question that is certainly the topic of many debates within the biology world. It seems if the theory of natural selection in evolution held true, then detrimental genetic diseases would have been weeded out long ago. What if somehow those diseases incurred some unknown benefit? As we learn more about the molecular makeup of humans we're finding this to be more and more the case. Diseases like hemochromatosis, diabetes and sickle cell anemia fit into that category, explaining why many of the problematic genetic diseases of today were actually genetic protectors in times past. Why do cold viruses make you sick, but not too sick? Why doesn't malaria follow the same course? How do complex creatures evolve when these changes require numerous random mutations? Is there another process involved? With each turn of the page, new questions arise as though the reader is experiencing decades of scientific dilemma in fast forward. As each page turns, it becomes more obvious the more we know, the less we understand. That's just one of the many fascinating aspects of this book. Certainly, anyone with an interest in science, biology and medicine will enjoy this book, eating it up like a delicious dessert. But the audience is not that limited. It doesn't require a scientific background to follow this book as the author does a great job of explaining things in layman's terms. This book will do for the biology world what Freakonomics has done for the world of statistics. It's intriguing, fascinating and highly entertaining. Dr. Sharon Moalem has a gift for taking complex human physiological subjects and explaining them in an interesting, entertaining manner. I highly recommend this book to all interested in health and wellness. this book is very interesting!